Happy Hump Day sweet readers! Did you know that Pinhole Press has got the baby bug? I'm obsessed. Matt and I never sent out birth announcements after Mila was born (we were uh...busy not sleeping), but anyway, I kind of wish we had. I love their new collection of announcements...how adorable is this one? And M for Mila! Perfect. My friend Nikki ordered the adorable Names and Faces book for her daughter Kylie and I recently got a sneak peak. 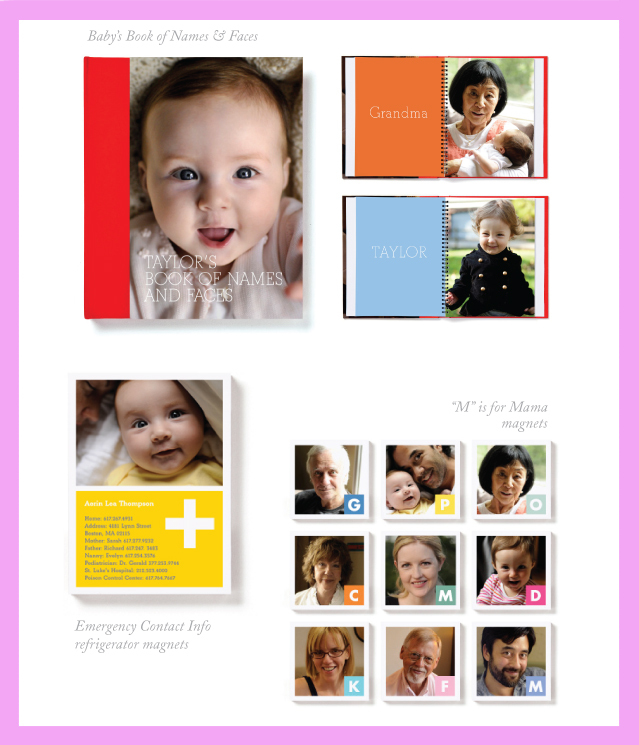 It's such a fun way to document and share the special people in your baby's life. 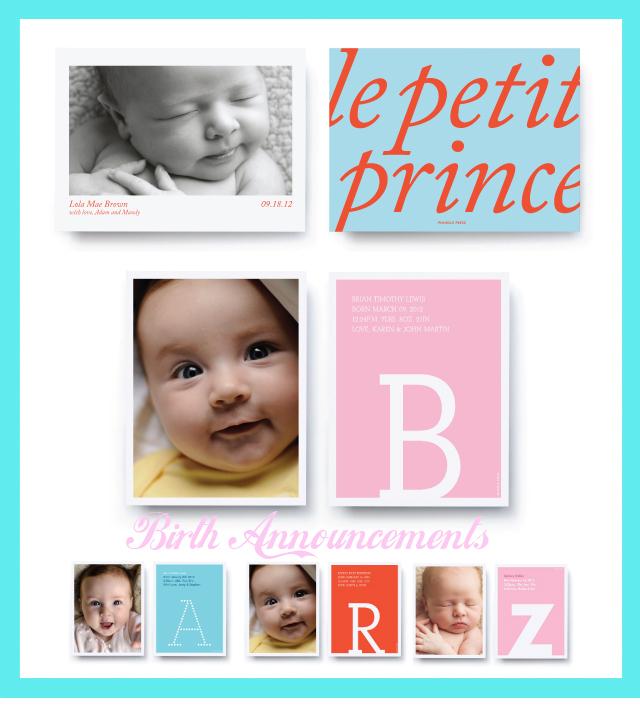 Here are more baby inspired goodies over at Pinhole Press. P.S. Matt and I are getting ready to put together Mila's first year album (you would not believe how many photos we took over the last year. I guess that's what parents do right)? Pinhole press is the GREATEST! alexa, i love the simple and colorful designs here and i have to say that i love the name mila!! These are SO much better than anything they had out when my daughter was born 26 years ago! I love these! I would totally do this for #2 but I agree - the lack of sleep somehow got in the way! Thanks for sharing; those are great! These are so so cute! Love them!! Seriously, the "Names and Faces" book is the BEST. Kylie is obsessed with it...it came out so amazingly perfect, I love it. I recommend it to everyone! !